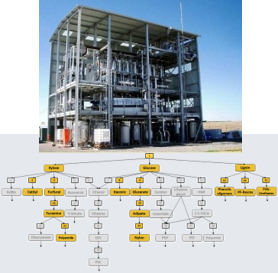 Purpose: integrate novel paths to biofuels and biochemicals with a combination of modelling, optimization, process integration and process intensification (www.biocore-europe.org). Research involves collaboration with plants in France, Denmark and Holland. 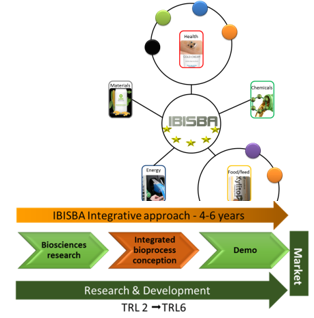 It includes patentable technologies to valorize lignin, novel fermentation to ABE/IBE and MCFA, and the integration of biochemical and thermochemical paths (HTL, pyrolysis, syngas fermentation). Work includes the development of novel equipment that combines reaction and separation. Purpose: integrate chemical plants based on halophytic algae (www.d-factoryalgae.eu); select products and processes; ensure sustainable production and plant flexibility. Demonstration plants involve sites at Eilat (Israel) and Monzon (Spain). Research combines modelling, process synthesis and process integration. Modelling includes the development of surrogate models to connect engineering with biology and biochemistry. Synthesis uses superstructure optimization techniques. Purpose: develop generic methods to develop bioenergy networks that promote Industrial Symbiosis and Industrial Ecology; particular focus on the inclusion of urban areas. 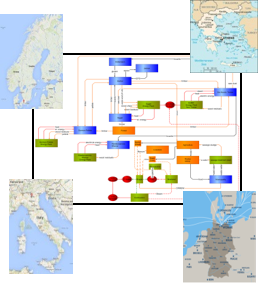 Research includes studies at cities and ports in Sweden (Malmoe), Germany (Wismar), Italy (Mantova) and Greece (www.epic2020.eu). 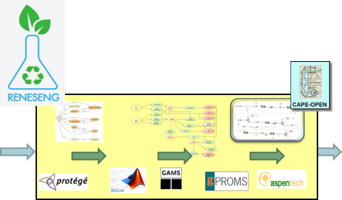 Research combines ontology engineering (www.ai4b.gr), mathematical modelling, multi-agent systems and the integration with GIS tools. A software demonstration is available. Purpose: re-design linear economy paths into closed-loop renewable paths. Applications include major collaborative work to convert residues from textiles into primal chemicals using a mixture of biochemical and chemical transformations. 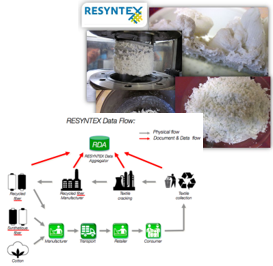 Research is committed to develop a demonstration plant in Germany (www.resyntex.com) and combines modelling, process integration and surrogate models to study unclassified properties and reaction mechanisms that decompose feedstock (animal and cellulosic fibers, poly-amides and PET) into useful monomers. Purpose: consolidate modelling, experimental and physical property assets into sharing communities and infrastructures; make systems research on renewables easier and more accessible. Research initiated at a Marie-Curie ITN (www.reneseng.com) and involves the use of ontology engineering, modelling, and intense collaboration with experimental groups at a national, EU level (www.ibisba.com), but also worldwide. Research is challenged to communicate with end-users who are non-PSE experts and involves heavy collaboration with ICT groups responsible to design asset management systems. Purpose: The purpose is twofold. A primal aim is to explore ICT and big-data technologies to accelerate and customize optimization performance in high-throughput applications. The second is to use game theory to analyze stakeholder relationships and strategies that emerge in paradigms of circular economy. Research combines the design of distributed algorithms using clouds and grids, ontology engineering and data mining. In game theory the research involves modelling and theoretical work on Nash equilibrium states. Purpose: to monitor the performance and progress in urban, rural and regional communities with respect to KPIs that relate to the bio-economy and industrial ecology. Research involves integration of structured and unstructured data with decision support tools. Unstructured data are usually in-situ measurements that need be connected to information and knowledge streams already in place. Decision support tools include analytics, optimization tools (supply chain, LCA and process engineering) that assess economic trade-offs and sustainable development.